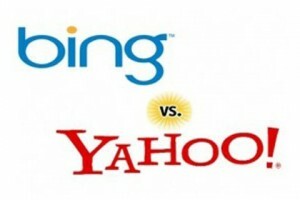 While Yahoo.com is considered to be one of the top sites that people access for web search, right behind Google and Bing, it has long lost its own search engine due to its business decisions, and has been “powered by Bing” since 2010. 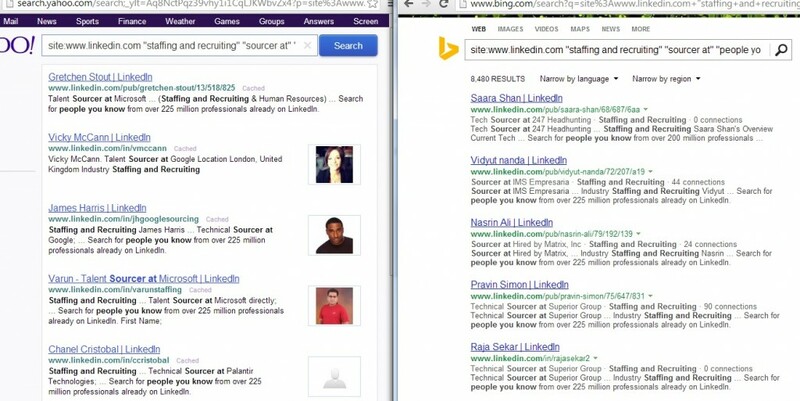 Since that switch, Yahoo has not provided any additional or different search results, compared to Bing. 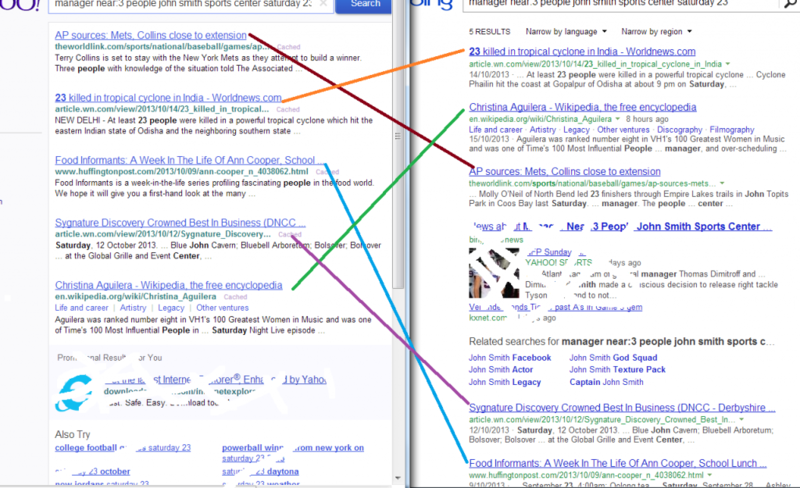 Yahoo may “decide” to show the search results differently than Bing. Here’s an example where yahoo previews the info differently; in this case, it provides better previews and the photos of LinkedIn members. Unfortunately, bing.com doesn’t have a good advanced search dialog available (vs. Google’s that has been of help to “beginners”). I used to recommend yahoo’s advanced search dialog to students, and it’s still out there but, please note, it seems broken, and is not linked to any more from the yahoo site. Some other tests I’ve run seem to indicate that some of the advanced search syntax may not be processed in the way we expect it to on yahoo.com, which could simply point to yahoo.com not making maintaining advanced capabilities a priority. The moral of the story is: If you have a habit of searching on yahoo, you may want to stop and verify your search results against searching on the “source” i.e. the bing site.